Season 6 has been and gone in Fortnite, and its time to look forward to an entirely new season filled with new cosmetics, challenges, and features to check out. Of course, in order to make room for all of the new content and themed changes to the map that are coming with its wintery weather, we need to say goodbye to some weapons and items, too. Here are all vaulted weapons and items in Fortnite Season 7 as of the v7.0 update. Update – 01/09/19: We’ve gone ahead and included all Vaulted weapons and items in Season 7 so far. While tweaks have been made to the existing balloons item in the game, and players are getting a new vehicle in Fortnite Season 7 in the form of the X-4 Stormwing Plane, some other items and weapons we’ve seen in Season 6 have been vaulted to make way. We’ve included a full list of the weapons and items in Fortnite Season 7 that have been removed down below. There are definitely some disappointing inclusions in the above list. 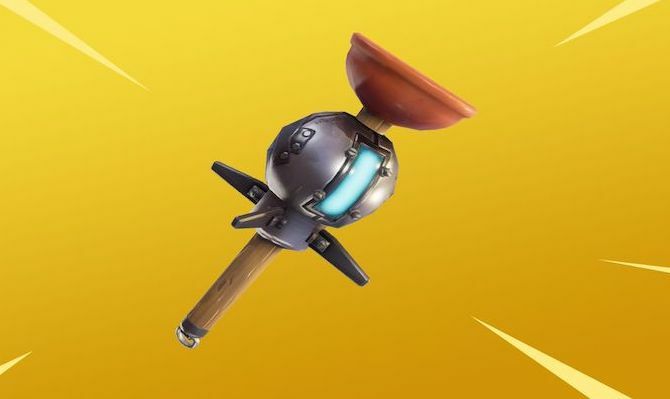 The vaulting of the Clinger and Shockwave grenades are sure to disappoint some fans, as they were useful and enjoyable throwable weapons for players of pretty much all skill levels. The Double Barrel Shotgun, on the other hand, had somewhat fallen by the wayside thanks to the introduction of the new Epic and Legendary pump shotguns. Elsewhere, it’s clear that the Port-a-Fort has been vaulted due to the Port-a-Fortress offering an even larger and more formidable portable structure for you to take refuge in. Shadow Stones, with the end of the ‘spooky’ theme of Season 6, have obviously made way for the new icy surfaces and ziplines dotted around Fortnite Season 7’s map. That’s pretty much all you need to know about the vaulted weapons and items in Fortnite Season 7. For more tips, tricks, and guides for the current season, be sure to check out our comprehensive Fortnite Season 7 guide wiki. Question: What weapons and items have been vaulted in Fortnite Season 7? Answer: In order to make room for all that new content, the following weapons and items have been vaulted. Shadow Stones, Port-a-Fort, Chiller, Clinger, Double Barrel Shotgun, Shockwave Grenade.